Throughout our years in business, we have continued to demonstrate our heartfelt dedication to the health and happiness of all of the dogs entrusted to our care. We also continue to remain true to our business philosophy that is a heartfelt promise not only to our beloved Dachshunds but also to those who adopt them. 1. 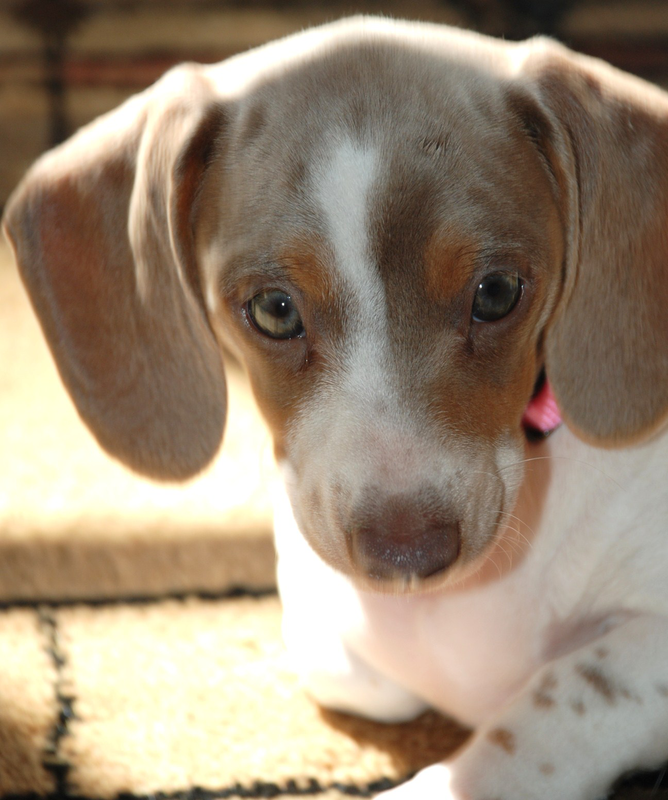 We certify that our breeding pairs are health tested in accordance with the recommendations of the AKC and the official AKC Dachshund Club Of America. 2. We will complete ongoing AKC-approved continuing breeder education and remain current on the best breeding practices and advances in canine health. 3. We will ensure that we are in 100% compliance with the AKC Care and Conditions Policy, which includes the passing all official inspections by the AKC and sharing all documentation with the AKC. 4. We accept full responsibility for the health and well-being of our breeding pairs and their puppies while they are in our care and for 100% compliance with all laws regarding the ownership and maintenance of dogs. 1. Our breeding pairs and their puppies will never live in cages; they will live with us in our home and be treated as beloved members of our family. 2. Our breeding pairs will receive proper medical attention and health testing to help ensure their ongoing health. 3. Each of our breeding mothers will have no more than one litter per year, will have rest periods of several months between litters, and will be retired from breeding after three years and will remain with us or in a trusted forever home. 4. From the moment they are born, each of our puppies receives plenty of personalized attention and TLC, the highest quality medical care, and a warm, loving environment in which to grow. 1. To ensure their health and safety, we will not release our puppies for adoption until they have reached at least eight weeks of age, have been fully weaned, have completed their first regimen of shots, and have been medically cleared by our veterinarian. 2. We will sell our puppies as loving companions to trusted individuals who will provide forever homes and will treat them with loving care. These puppies are AKC registered but are sold without or with limited breeding rights. 3. We will sell our puppies to professional, reputable breeders who share our commitment to 100% compliance with AKC health and care guidelines; pledge to provide safe, happy, and health homes for our puppies; and who will never sell to puppy mills, brokers, or pet stores but only to trusted individuals. These puppies will be sold with breeding rights for an additional fee.